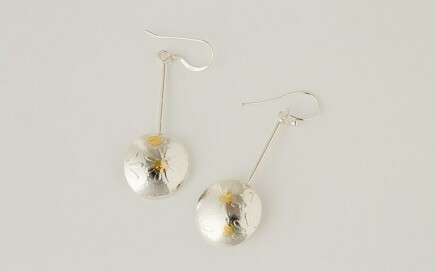 Silver discs with embossed daisies and Fairtrade gold dots on a silver wire drop. 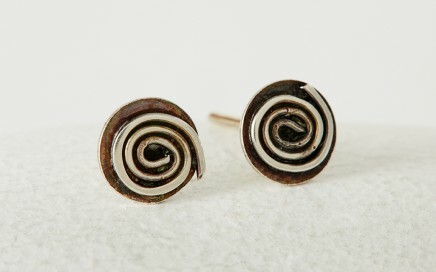 Recycled Silver studs. Dome shaped to look like a rose, with a choice of coloured Cubic Zirconia’s. 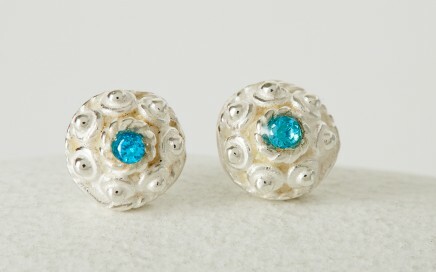 Recycled Silver studs dome in shape with small balls of silver at 4 sides of the stud. 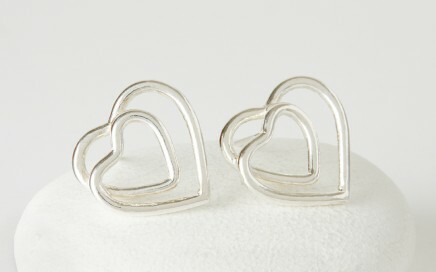 Available in a choice of coloured Cubic Zirconia’s. 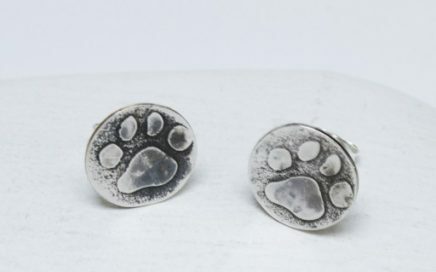 Recycled Silver round studs with a Paw print and oxidised surface. 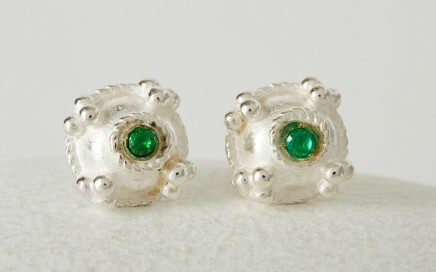 These studs are approx 11mm in diameter. 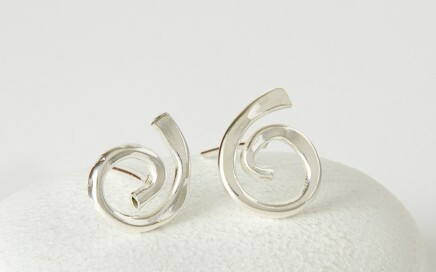 Recycled Silver round studs with silver swirl and oxidised surface. 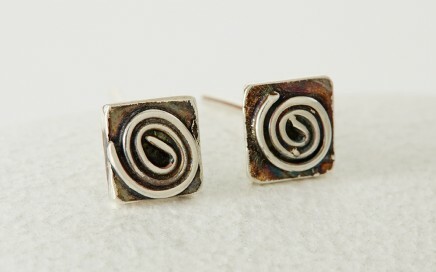 Recycled Silver square studs with silver swirl and oxidised surface.